Chris was born in the UK but he was raised in Adelaide, Australia. He came back to England in 1968 he was signed by Exeter but doubled up with Plymouth in the lower division. He finished with an average of over 4.5 for the Falcons and over 10 for Plymouth. 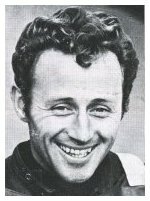 He moved up to Division 1 for Cradley in 1969 in a swap for Chris Julian and had a successful year with the Heathens despite injuring his shoulder and having some bike problems getting an an average of 5.24 from all his matches. 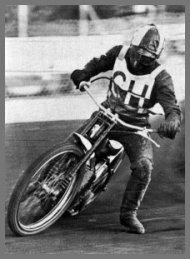 Cradley kept him in the team for 1970 but his form dipped and he decided to stay in Australia after this season. He continued to ride in Aussie for the 1972 and 1973 seasons before retiring from the sport.